I am BLOOMIN’ excited to announce that LAINEY K is returning to Bloom in the Park this year – 31st May – 4th June 2018! The LAINEY K pop-up will be in the Design & Crafts Council of Ireland Craft Village! So to celebrate, I am giving away two tickets to the event!! 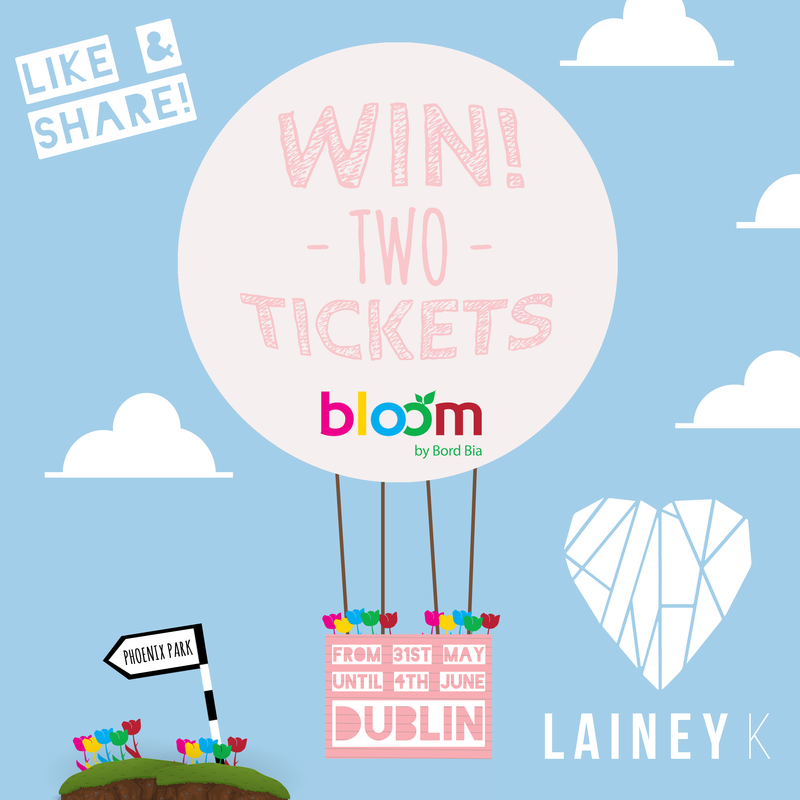 This June Bank Holiday Weekend you and a mate could be gallivanting around Bloom in the Phoenix Park! HOW TO ENTER: All you have to do is like LaineyK Facebook page, and share this post! The tickets can be used on any day of the festival. Winners will be chosen at random and will be announced on the LAINEY K Facebook page before the show! Bloom, bloom, bloom, let me hear you say YAY!! !